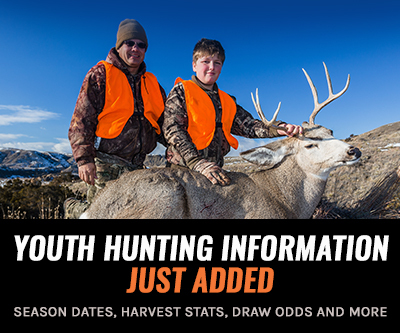 Growing up, the entire process of harvesting and, eventually, butchering a game animal was a very real experience around our household. From the point when I could be trusted with a knife—something my wife still questions today—my main job was cleaning all of the scrap meat pieces of sinew, silverskin, twigs, etc. to be ground later for burger. We never looked at game meat any different than anything else in the world because, to us, it was just food. I carried this mentality with me for a long time until sometime in my mid-20s when I really started thinking about the various flavors found in game meat. After some research and clumsily tossed together recipes, it soon became apparent that playing into the strengths and weaknesses of each cut and each species could really yield some incredible dishes that were unique in their own right. Before getting to the meat and potatoes of this awesome dish—pun intended, I wanted to first address my complicated method of cooking. I can’t follow recipes so much so that if I measure out the required water for my kid’s macaroni and cheese it will end up as one of two things: a solid and mostly inedible brick of noodles or a form of mac n’ cheese soup. On a molecular level, no two things I’ve ever cooked have been the same. While preparing for this article I really tried to be as descriptive as possible, but it really just took the fun out of it! 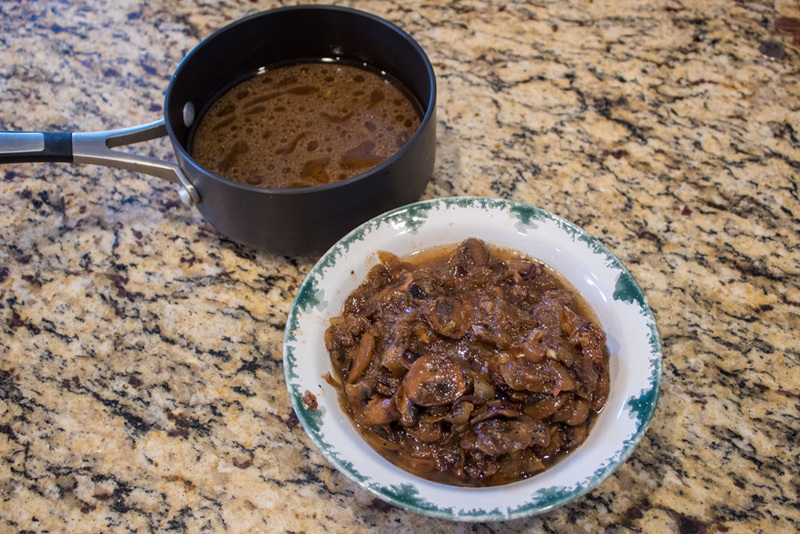 Trust your gut when cooking wild game; everybody's taste preferences are different and experimentation has led me to some of my best dishes, including the following one. Before beginning this dish I like to let the roast rest at room temperature for a few hours. 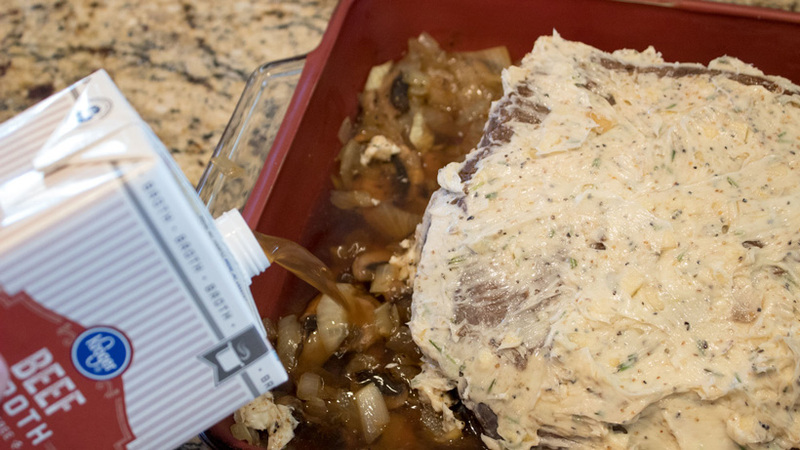 Before preparing, pat the roast dry to help the rub better adhere to the meat. For my rub, I chose to go very simple since our garlic and herb butter was going to be handling the flavor department. 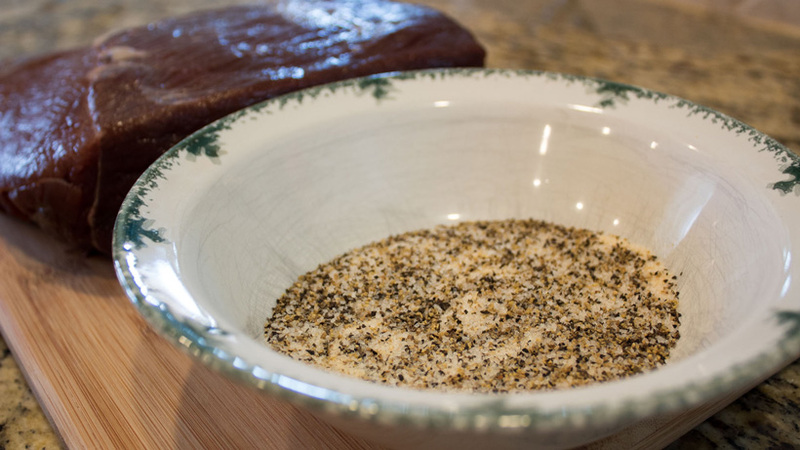 In a small bowl, combine salt, pepper, garlic, and any other additional spices you may typically use. Once combined, liberally spread the rub onto all surfaces of the roast. Once covered set the roast aside and prepare your pan for searing. In a large skillet, add a small amount of olive, avocado, or vegetable oil and heat over medium heat until the oil begins to lightly bubble. I may hide this from the doctor, but a spoonful of bacon grease added to this can really boost the flavor, too! Once the oil is heated, add the roast to the pan and sear on all sides for four to five minutes or until browned and slightly crispy. 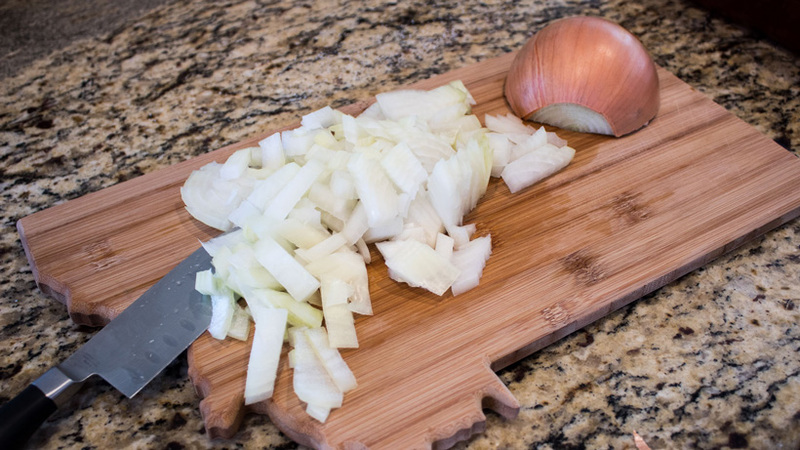 While the roast is searing it's time to get your onion and sliced mushrooms ready for a quick saute. Once the roast is seared completely remove it and add to your roasting dish. While the remaining oil is still hot, add diced onions and cook over medium heat. 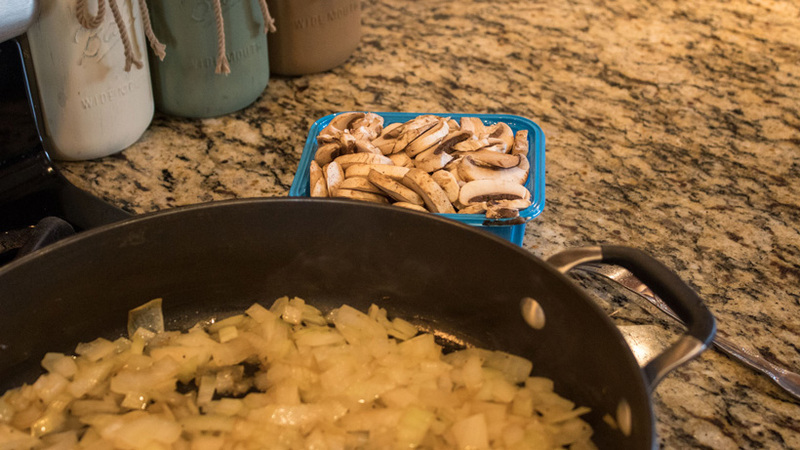 Once the onions are well browned and turning somewhat translucent it’s time to add the sliced mushrooms. Continue to cook until the mushrooms become tender—about five minutes. Add just enough beef broth to the skillet to deglaze all of the stuck-on bits. 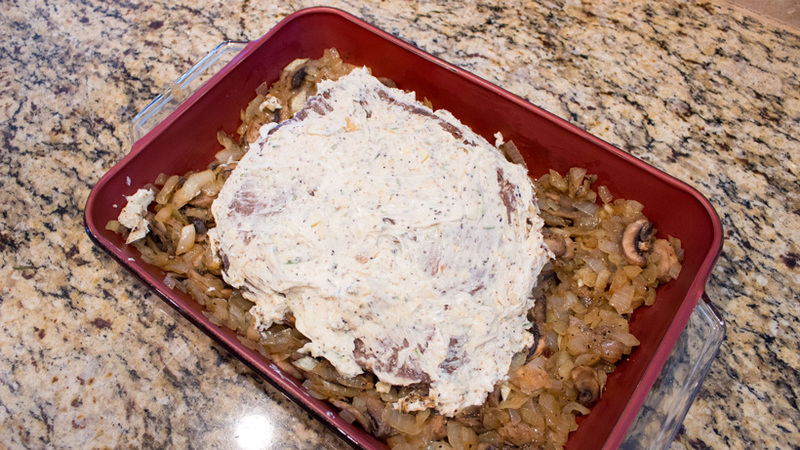 Finally, add the cooked onions and mushrooms to the roasting dish and arrange around the roast. This small add-on is really the MVP when it comes to this dish. 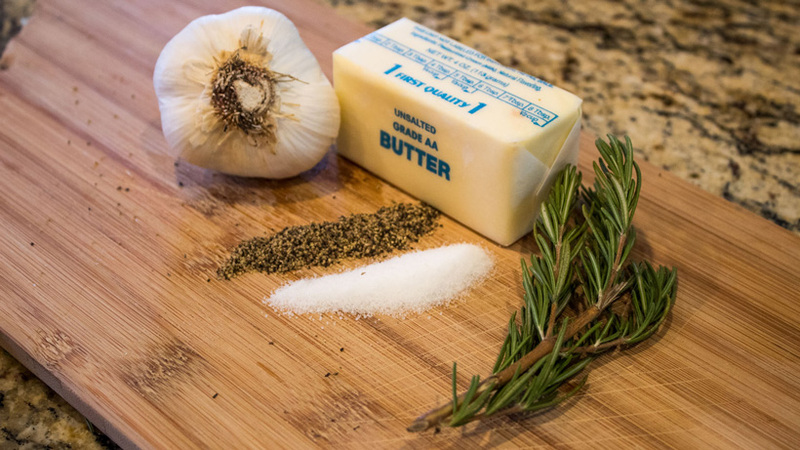 To make this, you simply combine a stick of butter, three to four minced garlic cloves, two to three minced sprigs of rosemary, and salt and pepper. Using a fork, mash all of the ingredients together in a bowl. Once the garlic and herb butter is well mixed apply it heavily to the elk roast. I don’t worry about the bottom side of the roast, but will ensure I get the top and all of the remaining sides. At this time, start preheating the oven to 325°. Lastly, it’s time to add just enough beef broth to the dish to cover the bottom. Once the oven is preheated, it’s time to toss the roast in, uncovered. Set the timer for 2.5 hours and check the roast every 45 minutes or so, adding both as necessary. 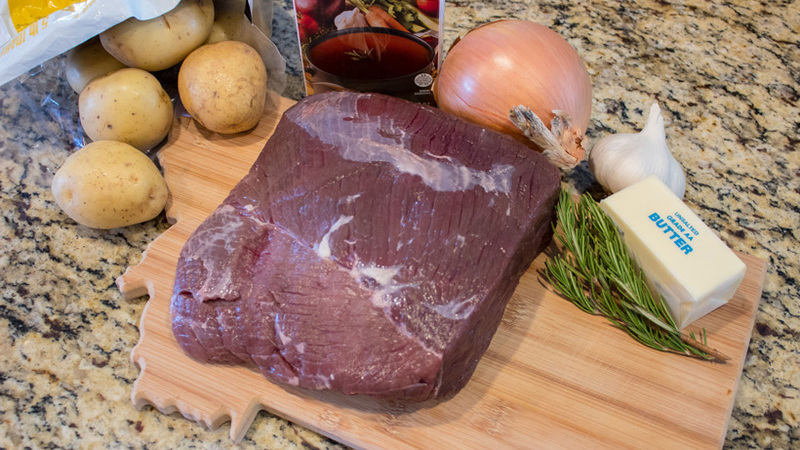 After the roast has completed cooking, remove it from the oven and transfer to a cutting board. 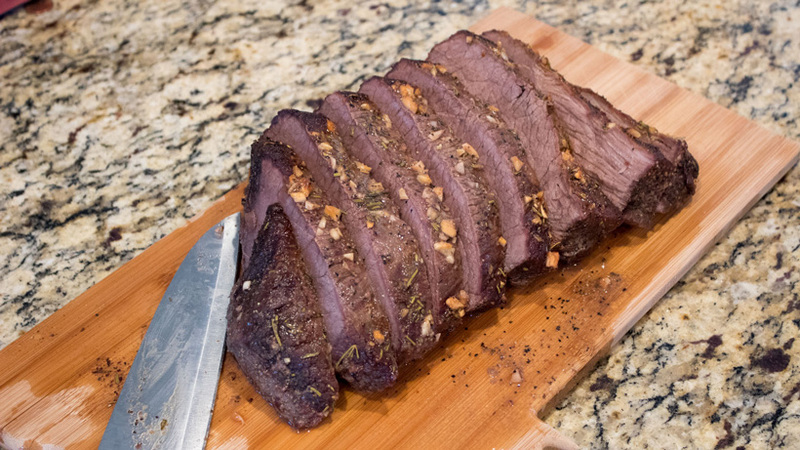 Once on the cutting board, cover the roast in tinfoil and let it rest for 15 to 20 minutes. In the meantime, it’s time to strain out the cooking vegetables from the cooking liquid. Reserve the vegetables in a small bowl and add the cooking stock to a small saucepan. Add broth (the stock if needed) and slowly bring the liquid to a low simmer. Once simmering, stir in a small amount of cornstarch or flour and cook until the stock begins to thicken and form a gravy. Remove the gravy from the heat and add in the cooking vegetables. 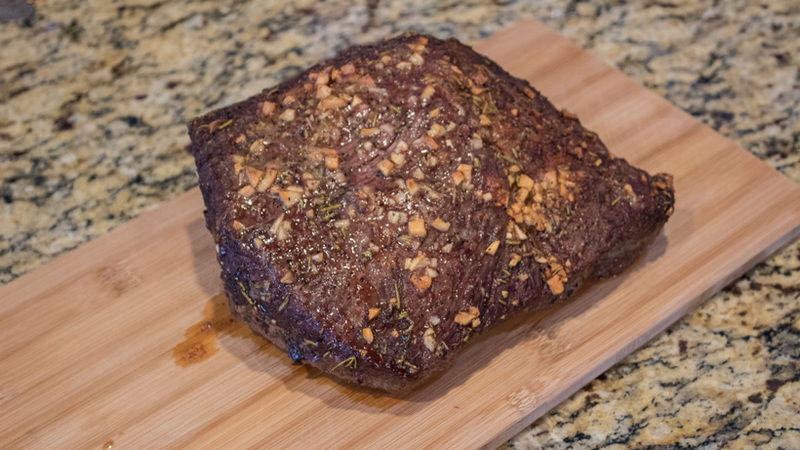 After the roast has rested, remove the foil and slice across the grain in a quarter or half-inch thick portions. And prepare for plating. 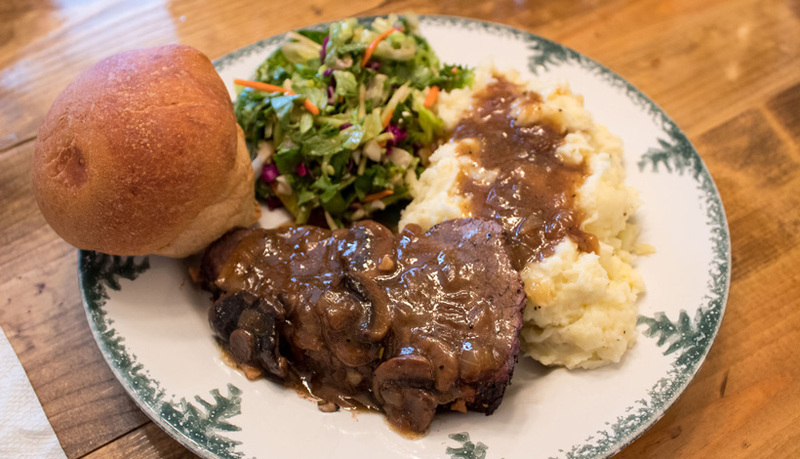 For sides to accompany this dish I decided on a traditional pairing of rosemary mashed potatoes, hard dinner rolls, and a Mediterranean salad. Top the roast and potatoes with gravy as desired and prepare for a feast! 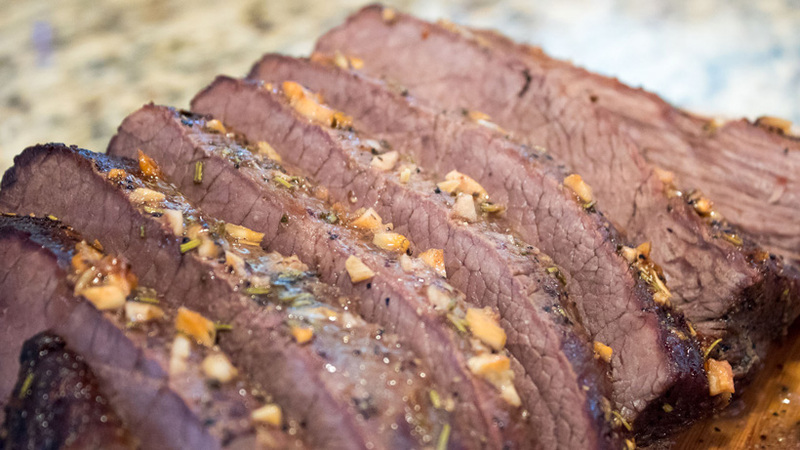 This is hands down my favorite roast recipe and one I’ll be trying with other cuts in the near future. As I mentioned before I don’t measure while cooking; I simply can’t. Just go with the flow and enjoy your time preparing the meal. Packing an animal out is hard work, but being rewarded with meals like this makes all of the pain and sweat well worth it! 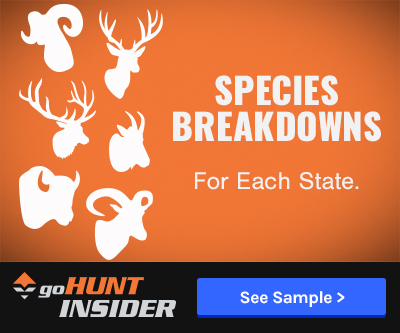 You can check out more wild game recipes here. @Hunter R Thanks for the great feedback! Cook times can definitely vary some and this was tailored for a well done roast but also one that could handle tougher cuts of meats. Great recipe that was delicious. Beware of the baking time...ours was done in about 2 hours. @Steve H- Thanks for the kind words, glad you enjoyed it! Wow! This recipe was delicious! Thanks for sharing. 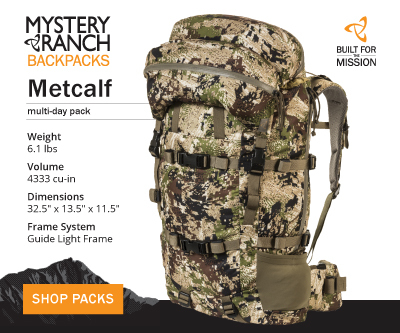 @Sean B- Thanks for checking out the article. Hope you enjoy it! That looks awesome. Definitely have to try it!